Address your suspicions for peace of mind and confidence in your choices. 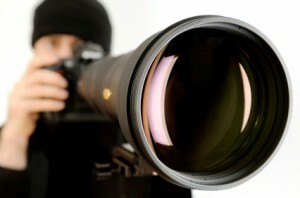 We deliver a surveillance service local to Edinburgh as well as across the UK. Every day you deal with people in private and professional settings. Even where the setting is professional it’s still the people within the organisation that you come to trust. Or suspect. You could follow someone yourself and the chances are you would be noticed before finding out what you really wanted to know. How would you explain yourself? A professional surveillance team will ascertain your objectives and put in place a plan to achieve them within the least possible time and within your budget. Trained to police and military standards we achieve your objectives, deliver the peace of mind that comes from knowing one way or the other and without being detected. We provide evidence to help settle matrimonial affairs. Sometimes surveillance is used as part of a fraud investigation particularly in relation to employee fraud and fraudulent personal injury claims. When doubts emerge over a new professional or private relationship use surveillance to be confident of your choices. Our surveillance equipment is state of the art. Each operative is personally equipped to keep their eyes and ears on the target on your behalf. Sometimes it’s not what you see but what you hear. Trained in the use of covert camera and audio surveillance techniques we can provide evidence of what was or was not said, even in a crowded bar. Where prolonged surveillance is necessary and often in the case of tracing and finding people we use specially equipped surveillance vehicles to provide round the clock cover. With techniques and surveillance equipment fully compliant with the Information Commissioners Office be assured that we act within the law of the land and that evidence obtained is admissible in court.